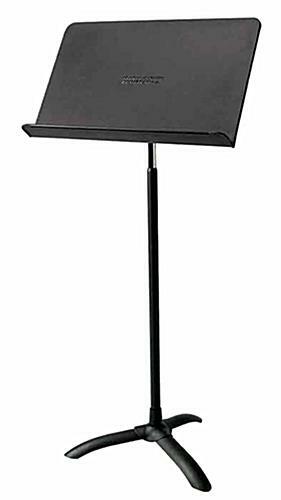 This conductor stand is a professional quality sheet music or score holder for band, orchestra, choir, and concert performance and practice sessions. This moveable black steel fixture offers traditional styling, with a tilting bookplate and telescoping neck. Each conductor stand adjusts from 24" to 46" high for seated or standing use, making it a great choice for bands, orchestras, choirs, soloists, directors and other performers. The sturdy metal lectern's heavy duty steel construction is built to withstand heavy, daily use in public or performance environments. 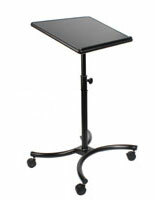 This black finish sheet music stand is perfect for bands, orchestras, choirs, soloists, directors and other performers. The smooth tilt and height adjustment make this professional grade lectern a great choice for schools, concert halls, performance centers, churches and houses of worship, and assembly areas. This adjustable director's stand offers smooth and quiet telescoping height adjustment, making it great for performance use as well as practice sessions. 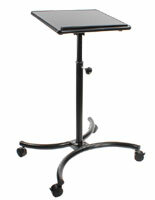 Each music or conducting lectern offers traditional styling with a tripod base for stability. 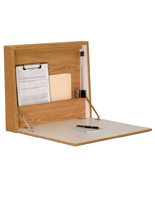 This professional quality adjustable stand for sheet music or tablet displays features a 20.5" wide tilting bookplate with a deep lip to keep reading materials in place on the desk during practice or performance. 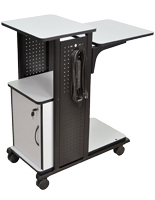 The black finish band lectern's steel construction is lightweight, weighing only 8.5 pounds for easy portability and features rolled edges that will not catch or scratch clothing or instruments.